We have never had a Britax carseat before now. We just had our 3rd baby this past summer and bought this carseat for him. I have never been more in love with a baby product. My son is so comfortable and fits perfectly! I will never buy anything other than Britax!! Roomy, comfy, easy to clean, easy to use, super safety features. My son is 8 weeks old and already his shoulders are hitting the sides of the car seat. He is 12 pounds. The car seat itself looks gorgeous and seems very sturdy, but its really a pain to get him in and out already and he looks squished. Its really disappointing I wanted to LOVE this carseat . Best infant car seat we've used! We have 4 children. We've been through over a dozen car seats and boosters. The Endeavors is probably our 5th our 6th infant car seat. 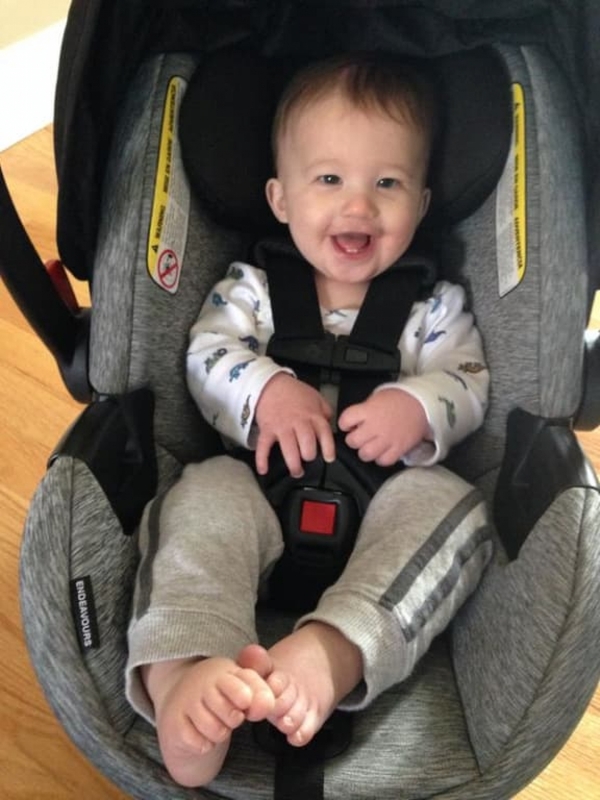 It is the BEST infant car seat we have ever owned! It's sturdy, comfortable for the baby, sleek and safe. I love how Britax has changed the way the fabric is sewn down into the car seat. It is super easy to install and adjust. My baby had his first diaper blowout and it was so easy to remove, wash, and put everything back together. The one thing I do worry about is the positioning of the belt where my baby's chunky thighs are...he is 3 months and his thighs are already pushing against it, but that's my "fat baby" problem! If you are on the fence about spending a little bit extra on this Britax seat, do it! Don't hesitate. You will not regret it. We have received so many compliments on this car seat, even from people without children and grandparents! Great job, Britax! Safety first, but really stylish! Did our research on safest car seats, and this was tops!! Love the Spark Gray color...so it was a no brainer. Even better in person! This car seat was ready to use as soon as we opened the box! The seat was nice and cushy and the fabric seemed very well made. We installed the base in the center seat of our Ford Edge with no problems at all. It seems secure and doesn't slide back and forth as much as other bases we've tried in the past. We've never used a seat with an anti-rebound bar before but it's my favorite part of this seat! It's so amazing and I hope that all seats will have them soon. The only negatives we found were that the seat is a bit heavy for an infant seat and that the latches seem a little bit hard to open (this could be something that gets easier the longer you use the seat). Thanks weeSpring Parent Panel for the opportunity to review this seat! Great features and easy to use! This car seat has some fantastic features. The quick adjust harness is really wonderful for my now 7 month old son who seems to grow taller every day! Using the seat without the base was what I was most excited about since we are traveling with this seat a lot over the holidays, and it really is easy to use without the base. The fabric is nice, but could be more luxurious and softer on baby's skin. We haven't used this car seat in a stroller (we just transfer him from the car to the stroller), so I cannot speak to that aspect. The one major thing I would change about this seat is the weight, I wish it was a few pounds lighter. Overall, very happy with this car seat. Thanks to the weeSpring Parent Panel for providing me with this car seat! Britax Endeavours is a fabulous infant seat. As a first time mom, safety features are paramount and the steel frame, particularly the anti-rebound bar, has given me so much comfort in knowing that my baby boy is safe. It does add a bit of weight, but that is an easy trade off! I love the options for easy travel with the seatbelt installation. You don't need to pack the base! Thank you to the weeSpring parent panel for the opportunity to review this seat. My family is obviously thrilled with it! 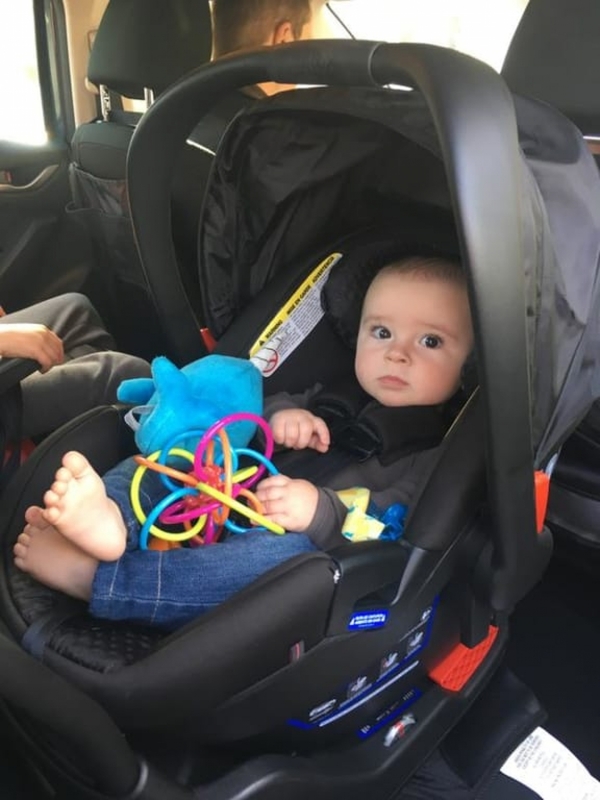 I was excited to try this car seat, which I received as part of the weeSpring Parent Panel, because I had read great things about it online when I was doing car seat research. Though it was a little on the heavy side, I like how easy it is to see where the seat belt should be threaded. I also really liked the anti-rebound bar - not only is it a good safety feature, I also liked that it was super easy to drape a blanket over the whole car seat, which is great for babies who are light sensitive and like to sleep in the car. My baby is 9 months old, over 30" in the 98th percentile, and 21.5 lbs in the 80th percentile. We also have a mid-market infant car seat purchased in Nov 2014. I'll be comparing the two throughout the review.The base was really easy to install. I really liked that there were two straps to independently tighten the latch connection on each side. Although the base does not auto-adjust like the one we already have, it was easy to fold up a towel to level it. The level was easy to read. I like the rebound bar. It makes sense how it would contribute to seat safety, our mid-market seat does not have this. The Endeavours bucket seat (without the base) was heavy. It weighs 11 pounds with all the extra padding removed, including the padded shoulder strap covers. The bucket seat for our mid-market seat weighs 8.5 pounds, also with the extra padded inserts removed. My first child was long (75th percentile) but light (10th percentile) so I carried the bucket seat with child secured between the house and my car or for quick trips into a store. Given that my 2nd baby is in the 80th percentile and the Endeavours weighs 2.5 pounds more, I leave the bucket seat in the car 99% of the time. I take my baby out and put him in a soft-shell carrier. I also do this because I have one child on each side of a full-size SUV and there usually isn't enough room between cars to take the car seat out with baby still in it and with a bigger baby, it's just too heavy and awkward to do.At 9 months, my baby is already on the highest seat belt setting. I absolutely love that the shoulder straps are no rethread adjustable. They are very easy to adjust and click into place so you know when it's secure. I did need to remove the thick padded strap covers that came with the seat because it was too difficult to get his arms through the straps with the padding effectively shortening them. I replaced the padded covers with the unpadded ones that came with my mid-market seat to prevent the seat belt from cutting into my baby's neck. I like the mechanism to tighten the harness on the Endeavours since it gives you feedback. It kind of feels like a click as you advance the strap to tighten the harness. Our mid-market seat pulls smoothly. That's not a bad thing. I just like the extra feedback when I'm having difficulty tightening the harness.I find the sunshade nicer on the Endeavours vs our mid-market seat. You can tell it is higher quality in material and build--it pulls out more smoothly and pushes back all the way. It also offers much more shade. I'm not able to push the sunshade back all the way on our mid-market seat, it is always partially out at the top of the seat. The Endeavours seat looks more comfortable for a newborn or young baby since it is more like a "v" with a rounded bottom. Our mid-market seat looks like a "v" with a flat bottom kind of like "\_/". My baby got upset every time we put him in our mid-market seat as a newborn, even with the newborn padding installed. We switched over to an All-in-One convertible car seat after a couple weeks. Now that he's older, I'm sure this would be less of an issue. I like that there are two buckle strap settings. Our mid-market seat only has one, but the buckle strap is longer to compensate for this. My baby was a small newborn so there was a gap between his crotch and the strap. This contributed to his discomfort because he would slide down exacerbating the issue from the seat shape I just mentioned. It helped a little to put a rolled up standard washcloth or hand towel in the gap between the buckle strap and baby, but he still didn't like our mid-market seat. The shoulder width is much narrower across all strap settings. For example at the highest strap setting, the Endeavours is about 8" wide and our mid-market seat is about 9.5" wide. My big baby is snug in there but it doesn't seem to bother him. The side panels of the seat extend out more so it is deeper. The Endeavours is about 1" deeper at the highest shoulder strap setting. It gets increasingly deeper towards bottom of the seat. I like the snugger fit from a safety point of view. However, the combination of narrower and deeper makes it hard to fish out the straps when they slide under the baby putting him into the seat. To prevent this, I slide the buckles on either side where the car seat belt goes for a seat-belt install without the base. That usually works for me to hold the harness belts to the sides and out of the way.I was really excited about the European belt guide but I haven't gotten to try it out since I have the infant seat base on one side of my car and a toddler booster on the other side. I did do seat-belt installs with our mid-market seat usually while travelling and had no issues. So at worst if I have trouble with the European belt guide, I can always revert to the standard method of seat-belt installation.Thanks to the weeSpring Parent Panel for providing me with this car seat! My baby is 9 months old, over 30" in the 98th percentile, and 21.5 lbs in the 80th percentile. We also have a mid-market infant car seat purchased in Nov 2014. I'll be comparing the two throughout the review. The base was really easy to install. I really liked that there were two straps to independently tighten the latch connection on each side. Although the base does not auto-adjust like the one we already have, it was easy to fold up a towel to level it. The level was easy to read. I like the rebound bar. It makes sense how it would contribute to seat safety, our mid-market seat does not have this. The Endeavours bucket seat (without the base) was heavy. It weighs 11 pounds with all the extra padding removed, including the padded shoulder strap covers. The bucket seat for our mid-market seat weighs 8.5 pounds, also with the extra padded inserts removed. My first child was long (75th percentile) but light (10th percentile) so I carried the bucket seat with child secured between the house and my car or for quick trips into a store. Given that my 2nd baby is in the 80th percentile and the Endeavours weighs 2.5 pounds more, I leave the bucket seat in the car 99% of the time. I take my baby out and put him in a soft-shell carrier. I also do this because I have one child on each side of a full-size SUV and there usually isn't enough room between cars to take the car seat out with baby still in it and with a bigger baby, it's just too heavy and awkward to do. At 9 months, my baby is already on the highest seat belt setting. I absolutely love that the shoulder straps are no rethread adjustable. They are very easy to adjust and click into place so you know when it's secure. I did need to remove the thick padded strap covers that came with the seat because it was too difficult to get his arms through the straps with the padding effectively shortening them. I replaced the padded covers with the unpadded ones that came with my mid-market seat to prevent the seat belt from cutting into my baby's neck. I like the mechanism to tighten the harness on the Endeavours since it gives you feedback. It kind of feels like a click as you advance the strap to tighten the harness. Our mid-market seat pulls smoothly. That's not a bad thing. I just like the extra feedback when I'm having difficulty tightening the harness. I find the sunshade nicer on the Endeavours vs our mid-market seat. You can tell it is higher quality in material and build--it pulls out more smoothly and pushes back all the way. It also offers much more shade. I'm not able to push the sunshade back all the way on our mid-market seat, it is always partially out at the top of the seat. The Endeavours seat looks more comfortable for a newborn or young baby since it is more like a "v" with a rounded bottom. Our mid-market seat looks like a "v" with a flat bottom kind of like "\_/". My baby got upset every time we put him in our mid-market seat as a newborn, even with the newborn padding installed. We switched over to an All-in-One convertible car seat after a couple weeks. Now that he's older, I'm sure this would be less of an issue. I like that there are two buckle strap settings. Our mid-market seat only has one, but the buckle strap is longer to compensate for this. My baby was a small newborn so there was a gap between his crotch and the strap. This contributed to his discomfort because he would slide down exacerbating the issue from the seat shape I just mentioned. It helped a little to put a rolled up standard washcloth or hand towel in the gap between the buckle strap and baby, but he still didn't like our mid-market seat. The shoulder width is much narrower across all strap settings. For example at the highest strap setting, the Endeavours is about 8" wide and our mid-market seat is about 9.5" wide. My big baby is snug in there but it doesn't seem to bother him. The side panels of the seat extend out more so it is deeper. The Endeavours is about 1" deeper at the highest shoulder strap setting. It gets increasingly deeper towards bottom of the seat. I like the snugger fit from a safety point of view. However, the combination of narrower and deeper makes it hard to fish out the straps when they slide under the baby putting him into the seat. To prevent this, I slide the buckles on either side where the car seat belt goes for a seat-belt install without the base. That usually works for me to hold the harness belts to the sides and out of the way. I was really excited about the European belt guide but I haven't gotten to try it out since I have the infant seat base on one side of my car and a toddler booster on the other side. I did do seat-belt installs with our mid-market seat usually while travelling and had no issues. So at worst if I have trouble with the European belt guide, I can always revert to the standard method of seat-belt installation. Thanks to the weeSpring Parent Panel for providing me with this car seat! The ultimate (safe) travel seat! Britax Endeavours is a fabulous infant seat. As a first time mom, safety features are paramount and the steel frame, particularly the anti-rebound bar, has given me so much comfort in knowing that my baby boy is safe. It does add a bit of weight, but that is an easy trade off!I have spent so much time fumbling around and re-threading car seats and the quick adjust harness is just such a thoughtful feature. When you have a rapidly growing (and in my case, very long) baby, the ease of adjustment is really nice. My absolute favorite part of this seat is the European belt routing guide. We are planning on traveling over the holidays and I can have the peace of mind that my child is safe, while not worrying about the additional hassle of bringing the base for our rental car. Although safety is my top priority, I love that the seat is great looking and the canopy really helps to shade my son when the sun would generally be hitting him in the eyes. The installation was not difficult and I have no more trouble holding the seat then I have experienced with other seats. 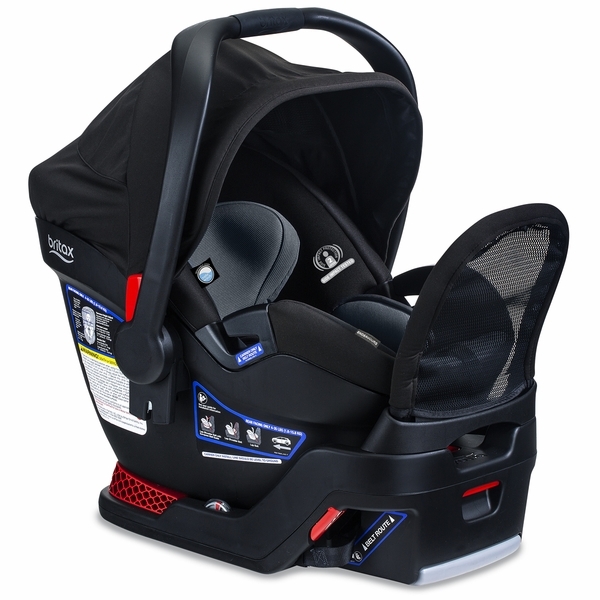 Thank you so much to the weeSpring Parent Panel for the opportunity to review this car seat. Our family obviously loves it very much! Britax Endeavours is a fabulous infant seat. As a first time mom, safety features are paramount and the steel frame, particularly the anti-rebound bar, has given me so much comfort in knowing that my baby boy is safe. It does add a bit of weight, but that is an easy trade off! I have spent so much time fumbling around and re-threading car seats and the quick adjust harness is just such a thoughtful feature. When you have a rapidly growing (and in my case, very long) baby, the ease of adjustment is really nice. My absolute favorite part of this seat is the European belt routing guide. We are planning on traveling over the holidays and I can have the peace of mind that my child is safe, while not worrying about the additional hassle of bringing the base for our rental car. Although safety is my top priority, I love that the seat is great looking and the canopy really helps to shade my son when the sun would generally be hitting him in the eyes. The installation was not difficult and I have no more trouble holding the seat then I have experienced with other seats. Thank you so much to the weeSpring Parent Panel for the opportunity to review this car seat. Our family obviously loves it very much! 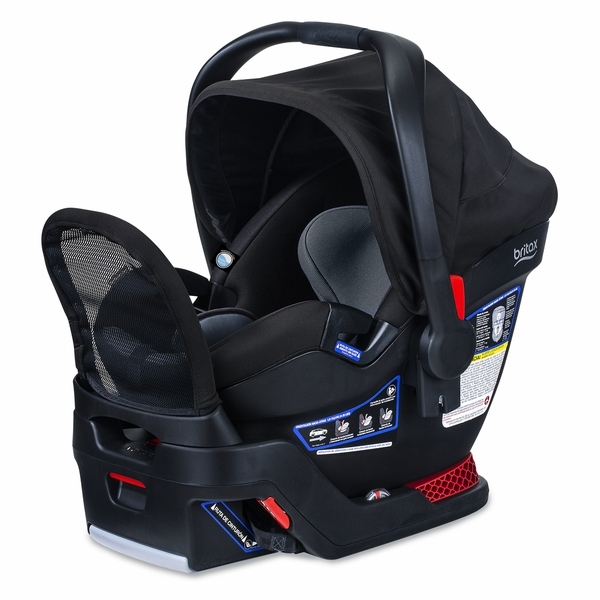 I absolutely love the Britax Endeavors car seat. It is stylish and easy to install. Not only was it easy to strap and secure my son in but I also like that I can easily attach it to my Britax stroller. The safety features give me a sense of security and ease of mind. The only downside is that it is a bit heavy. I would highly recommend this car seat. Thanks to the weeSpring Parent Panel for providing me with this car seat! https://us.britWhen unboxing the seat and base, I could not help but notice to quality build, clean lines, and overall lack of "clunkiness" that I have typically found. The materials looked and felt comfortable and clean. The base was low profile, self contained [latch sys] and also streamlines super well. I felt like the seat belonged in a sports car of some sort. Instructions were easy. Latch system took seconds and was simple to tighten. I would have my husband do the old seat as it took too much "muscle" to get it to a point of safety I was happy with. I wanted to love this seat, and for most part did. However, there were a few drawbacks that eventually led us back our old one. Mainly, ease of use. Getting in and out of the seat was just way too hard. The slimmer profile made for a tough time getting hands around the baby to get to the belt plugs. We have a smaller baby (12th percentile in weight) and yet I felt as if we were already pushing the seat limits. Second, this seat was noticeably heavier. I loved that it was skinnier and easier to hold while walking, but anything further than the car to the house became a chore. Lastly, the headrest area is awkward. Having the system contained into one easy slide is super duper and all, but our daughter just wouldn't take to it. It felt "raised" a bit in the headrest area. She passed out within 5 mins of our other seat and so did our first daughter. For some reason, she could not get comfortable in this one and would end up crying by end of the short ride home from school. Again, I wanted to love this seat. If perception was reality, that would be the case. But in practice, it just didn't work out for us. Perhaps having one seat and transitioning into a new one exposes pros and cons from both, but out old one was just more overall. I would love to combine the two, but, functionally, this one was second place. Thank you weeSpring Parent Panel for the opportunity to try the Britax Endeavours infant car seat. We have been impressed with the quality, durability, and unique features of this seat. Speaking from experience with other seats, the no-rethread shoulder straps are a must-have! The seat was no more difficult to carry outside the car than others, and installation was straightforward. Although others have found the canopy did not go down far enough to provide sun protection, I found it provided more coverage than other brands I have used. The material and padding felt well made, and the anti-rebound bar is a great additional safety feature. Carrying the seat was similar in terms of weight and less awkward than others. My baby outgrew the seat after only a couple weeks due to his weight (20 lbs) length (29"), but he did seem comfortable up to that point. The only negative aspect of the seat from my perspective was the chest strap button was difficult to unclasp. Overall, I would definitely recommend this car seat, and enjoyed the couple weeks we were able to use! First off, the car seat is sleek and great-looking. It is easy to use and my 9 month old seems very comfortable. I'm excited about the safety features, especially the belt guide. It fits well in my small SUV and installation was straightforward (I also have AAA check my carseats). I was given this car seat to try as part of the weeSpring Parent Panel. Reliable and great Car seat! The Britax Endeavours seat left me very impressed. When I first opened the package I was impressed with how sturdy and solid the seat felt. The canopy as well over the carrier/seat I felt was also a higher end material and I liked how soft it was and how far down it went to provide shade and protection.I did find the seat a bit more snug than some others that I have used, my baby has gotten quite chunky so I felt I had to move on from this because of his size a bit faster than usual but aside from that I was super happy since when he was a bit smaller and fit in this great I felt because it was a bit more snug it was more safe. Very plush padding on these.The harness is very easy to use and also easy to switch between heights. The seat is also easy to carry with the handle and It did not feel awkward with some seats. The click and go system works well and it was very easy to not only install but to use day to day. It was easy to install and no more complicated than any others on the market. The stability bar I felt provided more stable and think it adds to the appeal of this a safe seat. I mostly used this with its base, and only once used with the seat belt only but found it was easy to install. Much more stable however with the base especially with the stability bar.Thanks to the weeSpring Parent Panel for providing me with this car seat! This has been one of my favorite products to date! Thanks to the Wee Spring Parent Panel for providing me with this car seat! My fellow twin moms will love the slim design because you can easily fit two seats side-by-side in the back row of a Honda Odyssey. The seat also looks very nice and has some great padding. Installation using the latch system was fast and easy. I had a little more trouble using the seat-belt path with the base, but that was largely due to the setup in my van. The only problem I noticed with this model is that the back of the seat does not snap into the base. The seat does not feel secure because it rocks back and forth even when properly installed into the base. You can strap the seat in without the base, which does alleviate this problem. We were given this car seat to try as part of the weeSpring Parent Panel and were thankful for the opportunity. Straight out of the box the Britax was ready to use. The fabric on the seat and canopy is thick and durable but didn't make my 7month old feel hot after sitting in it for an extended period of time. The adjustable harness was such a great easy to use feature that you don't even have to use the instructions to figure out. Installing the base in our small suv couldn't have been any easier but still gave my husband and I the confidence that it would protect our baby if needed. When we first received the Britax Endeavour we weren't sure about the anti rebound bar since we hadn't seen it yet. After we installed the base, we totally realized why the anti rebound bar is so important. It's the new and necessary safety feature that's going to change carseats forever. We did notice that this carseat was heaver than our other carseat but that isn't really a big deal to us... safety is key! I also noticed that the chest latch is slightly difficult to undo compared to our Chicco however it could be an isolated occurrence with just ours. The Britax Endeavours seat left me very impressed. When I first opened the package I was impressed with how sturdy and solid the seat felt. The canopy as well over the carrier/seat I felt was also a higher end material and I liked how soft it was and how far down it went to provide shade and protection. I did find the seat a bit more snug than some others that I have used, my baby has gotten quite chunky so I felt I had to move on from this because of his size a bit faster than usual but aside from that I was super happy since when he was a bit smaller and fit in this great I felt because it was a bit more snug it was more safe. Very plush padding on these. The harness is very easy to use and also easy to switch between heights. The seat is also easy to carry with the handle and It did not feel awkward with some seats. The click and go system works well and it was very easy to not only install but to use day to day. It was easy to install and no more complicated than any others on the market. The stability bar I felt provided more stable and think it adds to the appeal of this a safe seat. I mostly used this with its base, and only once used with the seat belt only but found it was easy to install. Much more stable however with the base especially with the stability bar. Thanks to the weeSpring Parent Panel for providing me with this car seat! This has been one of my favorite products to date! 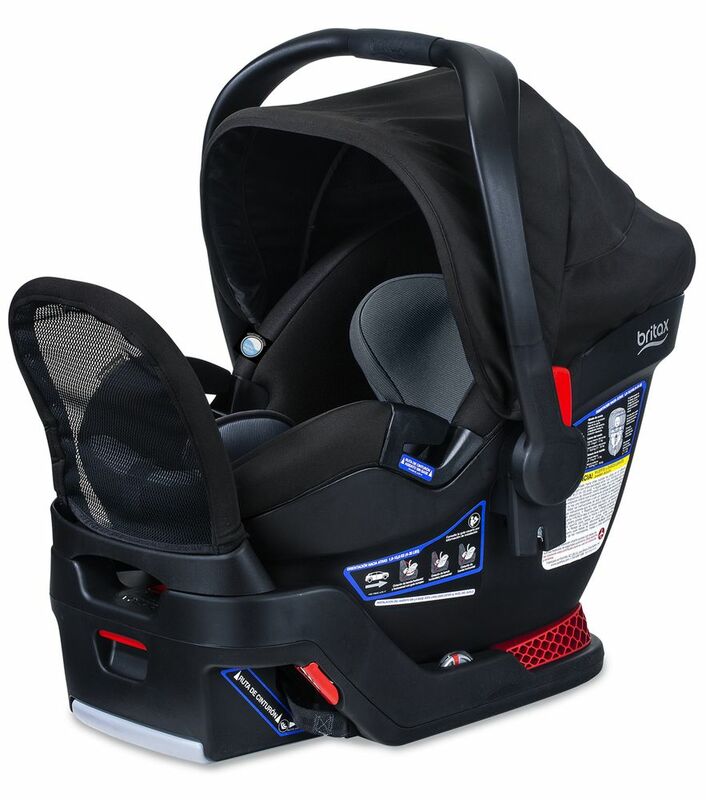 Thanks to weeSpring Parent Panel, we were given this Britax Endeavors car seat to try. We are currently a two car seat family; having a Nuna Pipa and a Cybex Aton 2. The look and feel of this car seat is light years ahead of the Nuna and the Cybex. We expecially appreciate the hood, as it provides better sun protection for our little one. In addition, adjusting the straps in the Britax is much easier than that of the Nuna or Cybex and provides for a snug fit for our bean pole. One downside of the car seat, is it is a little bigger and heavier than both our existing seats, but if you have a reasonable size car (unlike me, who has a small german sportscar, hence the Cybex) it fits just fine. Installation with the base is a breeze and similar to that of installing the Nuna; even a first time parent feels confident in the installation. Also the ability to do a European install without the base is great for travel and rental cars. If I were shopping for a new seat, I wouldn't hesitate to recommend this seat. I was given this car seat to try as part of the weeSpring Parent Panel. Overall, an excellent seat! First, out of the box, it's a sleek, nice looking infant seat. I like the updated safety feature of the foot bar and installation was very simple with the Latch. It was also very easy to adjust the straps to my son and he sat VERY comfortably! There was no discomfort with the buckle like he has had in another seat. The canopy is larger than others and I found it to provide great coverage. Clicking the seat in and out of the base was easy. My only complaint would be that it was a bit of a snug fit next to my older child's convertible car seat, but it's not impossible. It might just take up a little more room than others, but I'm enjoying this seat! We just found the most appropriate infant car seat for our daughter! First of all, it seems very sturdy and safe. 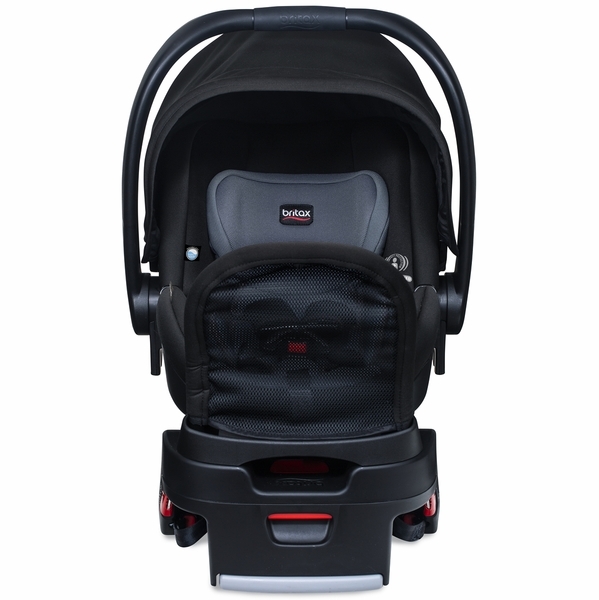 It has a lot of security points which make the baby travel in the best way possible. It is also very easy to use both on the car and on the stroller. It may weigh a bit but this car seat is bigger than other car seats my wife and I have considered buying. On the other side, Albee Baby delivered it for free and we had no problems with the shipping. It was fast! I definitely recommend this item. It is not the cheapest one, but it is one of the safest! ProsGreat capacity. Ease of use. I cannot thank the WeeSpring Parent Panel enough for giving me the chance to try this infant seat! Straight out of the box, I noticed how nice the Endeavor looks! It is such a sleek-looking seat and the fabric on the seat and strap covers is very high quality, soft to the touch and repels messes. My baby's last seat had a permanent ring where his head would sweat, but with this seat, I have never pulled him out feeling too hot or sweaty. While my child is too big for the infant insert, I like that it can be used two different ways for a custom fit on a newborn. The seat is very deep making me feel that my baby is in his own little cocoon. Sometimes his head slumps forward while sleeping, but I know he is buckled in correctly and it doesn't seem to bother him at all. I love the ease of tightening and loosening the straps, it glides SO smoothly without waking baby. And, take it from a parent that has rethreaded shoulder straps, the no-thread feature is a huge deal! This seat is pretty heavy compared to other seats on the market, but I find it is a small trade-off for all the safety features you get in return. This has not stopped me from carrying it outside of the car at all. Even the base is attractive and I love the rebound bar which many other bases on the market do not have. Installation using the LATCH isn't as easy to tighten as other Britax seats, but I was still able to get a secure fit by myself in under 5 minutes. I appreciate that there is a level on the base rather than just a line for a more precise fit on the seat of the car. I also like that it sits higher. My son even noticed on his first ride that he had a better view out the window. We have it installed behind the driver and even when my husband is driving, it doesn't interfere with the back of his seat. The only thing I don't absolutely love about this seat is the canopy. I wish it was a nicer fabric and that it covered more of baby. I am constantly pulling it off the back from trying to pull it down farther in the front. I am already worrying about when my baby will grow out of this seat because I love it so much! I cannot thank the WeeSpring Parent Panel enough for giving me the chance to try this infant seat!Straight out of the box, I noticed how nice the Endeavor looks! It is such a sleek-looking seat and the fabric on the seat and strap covers is very high quality, soft to the touch and repels messes. My baby's last seat had a permanent ring where his head would sweat, but with this seat, I have never pulled him out feeling too hot or sweaty. While my child is too big for the infant insert, I like that it can be used two different ways for a custom fit on a newborn. The seat is very deep making me feel that my baby is in his own little cocoon. Sometimes his head slumps forward while sleeping, but I know he is buckled in correctly and it doesn't seem to bother him at all. I love the ease of tightening and loosening the straps, it glides SO smoothly without waking baby. And, take it from a parent that has rethreaded shoulder straps, the no-thread feature is a huge deal!This seat is pretty heavy compared to other seats on the market, but I find it is a small trade-off for all the safety features you get in return. This has not stopped me from carrying it outside of the car at all.Even the base is attractive and I love the rebound bar which many other bases on the market do not have. Installation using the LATCH isn't as easy to tighten as other Britax seats, but I was still able to get a secure fit by myself in under 5 minutes. I appreciate that there is a level on the base rather than just a line for a more precise fit on the seat of the car. I also like that it sits higher. My son even noticed on his first ride that he had a better view out the window. We have it installed behind the driver and even when my husband is driving, it doesn't interfere with the back of his seat.The only thing I don't absolutely love about this seat is the canopy. I wish it was a nicer fabric and that it covered more of baby. I am constantly pulling it off the back from trying to pull it down farther in the front. I am already worrying about when my baby will grow out of this seat because I love it so much! Installation was a breeze, as was adjusting the straps. Loved the additional safety feature of having an anti-rebound bar on the base. Instructions for installation both with and without the base were easily viewable on the seat, which saves a lot of hassle in finding and referencing the manual if you move the seat to another car. The seat was lightweight and easy to carry. The only negative for me was the lack of padding in general. 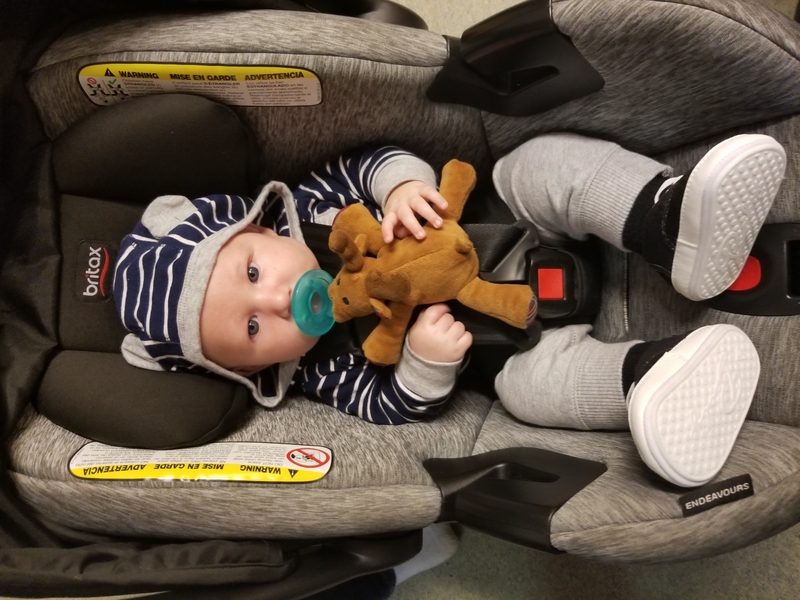 The seat was fairly hard on my baby, and the lack of padding around the lower half of his body resulted in his head being pushed forward a bit by the headrest. Overall, I was very happy with this product and would recommend it. Thanks to the weeSpring Parent Panel for giving me this car seat to try! I received this product thanks to the weeSpring Parent Panel. We have used two other infant carseats from another brand and this is honestly my favorite yet. I wish I had this seat all along for my now 8 mo. old daughter. Unfortunately our daughter is pretty tall so the shoulder straps are a bit tight on her so she won't be able to use the seat much longer. I love how lightweight the seat is making it easier for me to carry with her in it which comes in handy when she falls asleep in the car and I want to keep her sleeping. With other infant seats my husband always had to carry the seat because it was simply too heavy for me. It's very easy to click in and out of the base. My husband installed the base and said it was easier than any of our other bases and we both felt it was very safe and sturdy. We have not had a need to use the European seatbelt installation but the instructions are very clear on the seat and I would be confident in my ability to install if needed. The straps are easy and quick to adjust with no rethreading necessary when adjusting. Also the bottom positioning pillow comes out which makes more room for growing baby. Although the seat is black and I have had past situations of the carseat getting too hot from sitting in the sun, my daughter seemed very comfortable even on hot days thanks to the breathable material. As for the anti-rebound bar, the whole family was happy with that feature. My daughter loved to use it as a kick pad and my husband and I appreciate the added safety factor. My only real complaint is the canopy as it is not secured to the seat so when I would pull it forward for shade it would occasionally pull all the way off the back of the seat. That is a pretty minor gripe compared to all of the positives of the seat. Overall I was very pleased and would recommend this as a safe and functional option for an infant carseat. We are city dwellers and need a car seat that is easy to install without a base when we are trying to quickly maneuver in / out of taxis. The Britax Endeavors definitely fits this bill. It felt like a very sturdy carseat as soon as we unpacked it from the box. Our toddler car seat has an anti-rebound bar and I was so glad to see this feature on an infant seat as well. It helps the seat feel extra secure upon installation and is such an important safety feature. The 'spark' fabric looks great. We haven't had to clean the seat yet but the cover seems easy to remove and replace. We never used the infant comfort pillow (our son was already 5mo upon receipt of the car seat) but without a way to secure it to the seat we would probably pass on using it in the future. The seat unfortunately isn't compatible with our stroller so it will have to stay in the car or our apartment. Thanks to the weeSpring Parent Panel for providing me with this car seat. We are city dwellers and need a car seat that is easy to install without a base when we are trying to quickly maneuver in / out of taxis. The Britax Endeavors definitely fits this bill. It felt like a very sturdy carseat as soon as we unpacked it from the box. Our toddler car seat has an anti-rebound bar and I was so glad to see this feature on an infant seat as well. It helps the seat feel extra secure upon installation and is such an important safety feature. The 'spark' fabric looks great. We haven't had to clean the seat yet but the cover seems easy to remove and replace. We never used the infant comfort pillow (our son was already 5mo upon receipt of the car seat) but without a way to secure it to the seat we would probably pass on using it in the future. The seat unfortunately isn't compatible with our stroller so it will have to stay in the car or our apartment. Thanks to the weeSpring Parent Panel for providing me with this car seat. This infant car seat, like most Britax car seats, is actually quite stunning to look at. The "midnight" color with the red trim really looks good in the car - like it's a purposeful accessory and not just baby gear one has to have. Installation of the seat was super easy and quick, and the harness, which we had to adjust immediately to accommodate our very tall baby, was very easy to adjust as well. My husband commented that he felt, compared to our other Britax seats, that the fabric and shell of the seat seemed thinner, though that may be intentional to make the seat so lightweight (it was far easier for me, with weak arm strength, to carry baby in this seat than in our much heavier older infant seat). The chest buckle was a bit difficult to click together - like there was resistance and we had to be careful aligning it so as not to break it. But otherwise the five-point harness was easy to use. Our FAVORITE feature is the anti-rebound bar - we could see immediately how this would help prevent a car seat from rebounding and we are glad this comes standard on this infant seat. Unfortunately we won't get too much use out of this seat - our 7.5 month old baby is 20 pounds, so well within the weight range, but he less than 2 inches from the height limit, and despite making all of the proper adjustments for him, he is consistently resistant to getting in the seat because he is simply not comfortable in it. Thanks to the weeSpring Parent Panel for providing me with this car seat! I love this car seat! We had a much clunkier one before, so it was easy to appreciate how compact and light weight this seat is, while still being perfectly comfortable for my 6 month old. I'm impressed with the safety features, of course, but the key for me was the convenience. The car seat fits our Britax stroller bottom, which means one less thing we have to lug around when traveling. I'm very happy with this product and would definitely recommend. Thanks to the weeSpring Parent Panel for providing me with this car seat! We used a competitor brand's infant carseat for my son, and we passed it on to my daughter when she was born. We switched her into this seat once we received it. This is my first time using Britax products. My husband did the installation, so I can't comment much regarding that provess, but he did mention that it was very easy to install with the base. He mentioned that the Latch mechanism seemed a little "cheap", but we have had no issues with it since installing. This seat looks much more comfortable and padded than our previous carseat. My daughter has reflux, and she seems to be more comfortable and able to be angled at a more upright position in this seat vs. her previous one. Going along with the reflux, she tends to spit up on occasion and, so far, it has been very easy cleanup with this fabric. The canopy material seems a little cheap, but it stays in position well and it has a pretty good range of coverage. I love that we will get a long period of use out of this product, since it can be used from birth up to 35 lbs. The seat itself is very lightweight and easy to transport. The harness straps seem to get twisted easily, but we never have a problem fixing them and it is likely user error. I received this seat from the weeSpring Parent Panel in exchange for my honest opinion. Easy to install, safe, and comfortable! My daughter is 8 months old (18 lbs) and fits very comfortably in this seat. I love how I can easily adjust the head/shoulder strap positioning as she grows. Her head doesn't fall forward when she naps due to the great support (which is a win!). The seat was fairly easy to install in my car with LATCH (requires 2 people) but easier than others I've tried. It's also super simple to use a seat belt only to secure the seat without the base. We used this on our flight to Florida and when riding in rental cars so we didn't need to take the base with us. Another nice feature is the variable positions of the shade which stays in place and the fact that the fabric is easy to keep clean. The buckle is very easy to secure, un-do, and tighten with the strap. Overall, I'd definitely recommend this car seat. Thanks to the weeSpring Parent Panel for providing me with this car seat! Does this carseat include the base in the image? Yes, all of our infant car seats will include one base. Bring your baby home in a car seat designed for the safety, comfort and convenience. 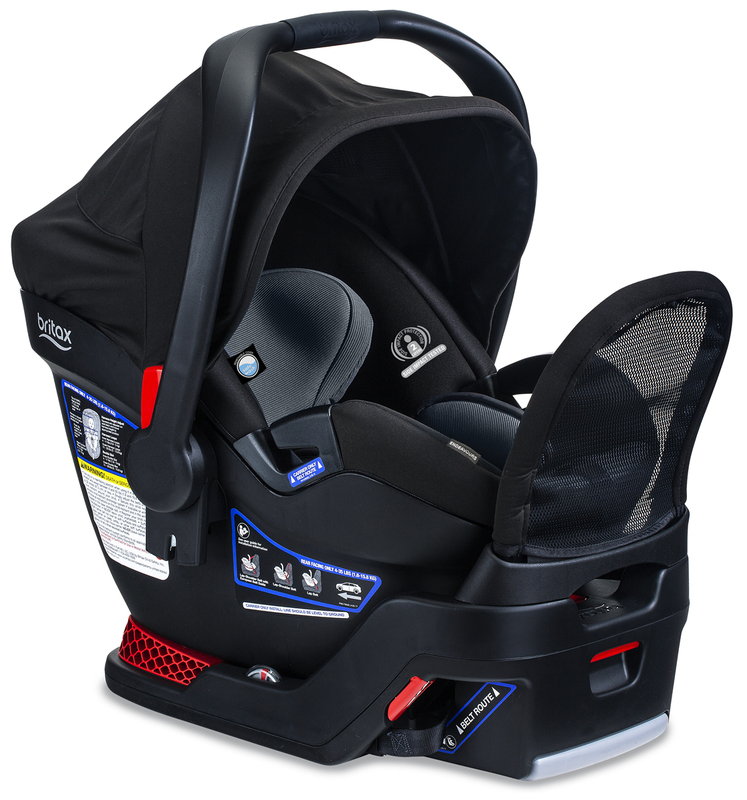 This rear-facing only seat is made for babies weighing between 4 – 35 lbs and it features a SafeWash fabric cover that is safe to machine wash (and dry) again and again. Cover set maintains safety properties with no added flame retardant chemicals. Shield your baby with 2 layers of Side Impact Protection, including a deep foam-lined shell and quick-adjust head protection. Also features an anti-rebound bar that stabilizes the seat in the event of a crash and reduces rebound rotation by up to 30%. Easily and securely install the car seat, with a base or without. The base is built with SafeCenter LATCH, center-pull straps for a secure installation. The car seat shell has a European Belt Guide that adds a layer of stability when installing without a base. SafeCell Impact Protection features a patented system of safety features that work together to help transfer crash energy away from your baby, consisting of an integrated steel frame in the base for strength and stability and an impact-absorbing base to compress and reduce the rough crash forces. 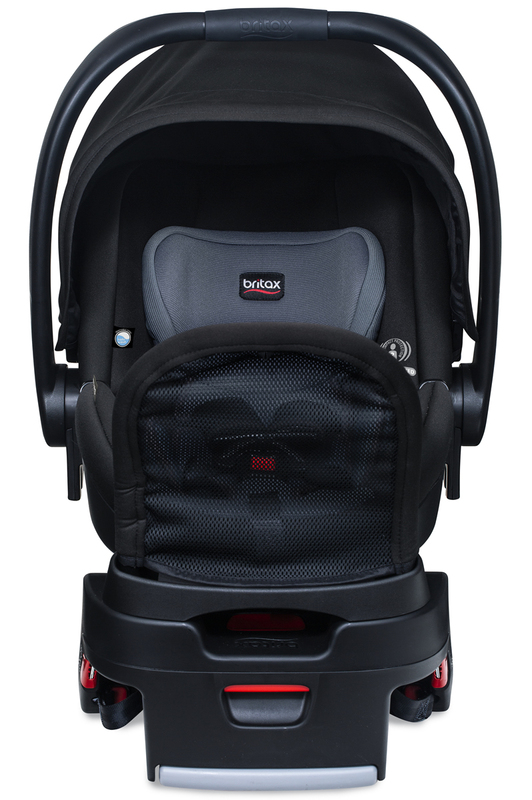 This seat is also travel-system ready with any Britax single stroller with the Click & Go system. SafeCell Impact Protection is a patented system of safety features that work together to transfer crash energy away from your baby. Impact-Stabilizing Steel Frame – provides strength to maintain the structure of the seat and enhance stability. Easy on/off LATCH Connectors lock into place with a click for installation and are easily released with the push of a button. Dual Level Indicators help you identify the proper installation angle. Quick-adjust Harness makes it easy to change the harness height as your child grows. No-rethreading necessary! Contoured Shell saves space in your vehicle and minimizes side-to-side movement to maximize protection. Easy-remove Cover for hassle-free cleaning without having to remove the harness. Removable Infant Position Pillow gives your newborn baby extra support when they are under 22 lbs. Easy-release Harness Button makes it simple to loosen the harness straps. Extra-large Canopy protects your little one from the sun and rain while you’re out and about. Plush Foam Padding and Fabrics keep your baby comfortable.